Early intervention is critical for children who have developmental delays. Lansing Special Education services provides Early Childhood programs for children ages 3, 4, and 5 (if not eligible for kindergarten) who meet the eligibility requirements for Special Education. The school staff and parents work together to determine how to best meet a child's needs. Eligible children ages 0-3 years are served by Tiny K.
Eligibility for services is determined through screening and evaluation for Special Education eligibility. 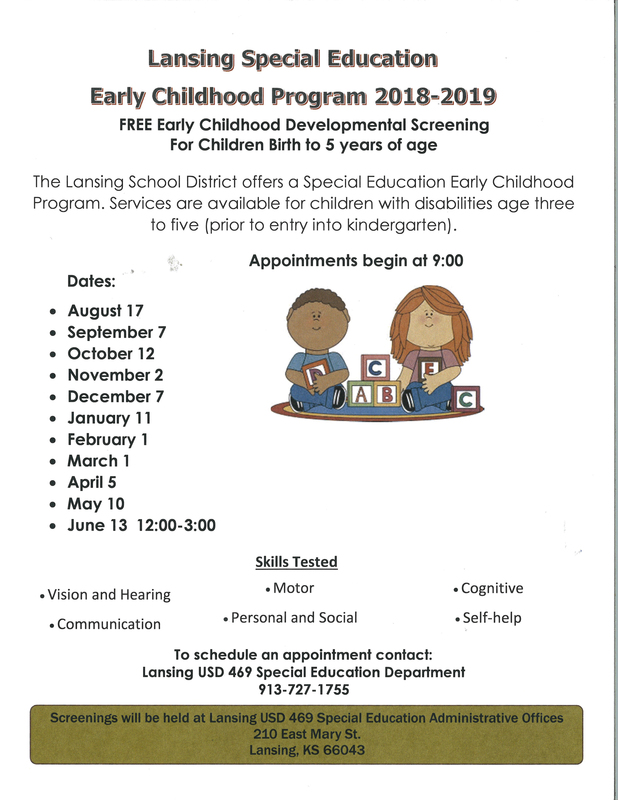 If you are moving into Lansing and have a preschool child with an active IEP, contact Dr. Malcolm, Lansing Special Education Assistant Director, at 913-727-1755 for more information. Lansing offers developmental screenings for children birth to five in the areas of cognition, speech/language, motor, social, vision and hearing once a month. Please contact 913-727-1755 and ask for Amy Dale or please click here for the screening flyer of upcoming dates. Children are screened on an appointment basis. Screening clinics are held at the Lansing Special Education office located at 210 East Mary, Lansing, KS 66043. The Lansing School District offers Early Childhood classrooms for children who are typically developing. These classrooms are for children ages 3, 4 and 5 (if not eligible for kindergarten) who serve as peer models for children with disabilities. Click here for more information about the Peer Model Program. How can I help my child prepare for screening day? After reading the FAQs below, talk with your child about what the appointment will be like. Your confidence and enthusiasm will help to make the morning a positive one. Having concerns about development can naturally cause stress for parents, but your child will simply know he or she is coming to play if you approach it positively. You will check in upon arrival, and we will guide your child into the screening area. You will be escorted to the parent waiting area. Your confidence at the time of separation is the best way to make this a smooth transition. What will my child be doing while I wait? 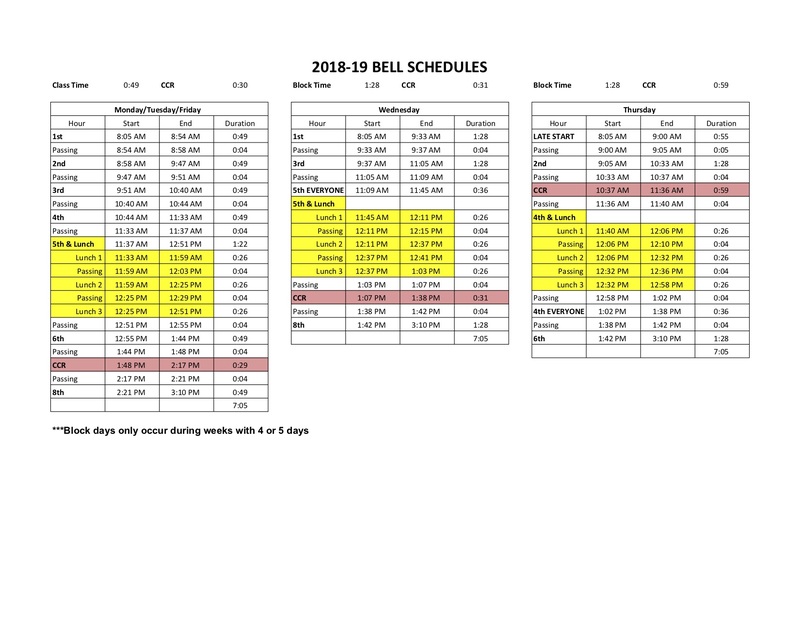 Your child will be visiting various "stations," each staffed with an early childhood professional who will engage your child in games and play activities while observing across developmental areas. We also screen every child's communication, cognition/pre-academics, social and emotional, self-help/adaptive, motor, vision and hearing. It takes most children about an hour to complete the screening, although it could take more or less time depending upon a number of factors. We have magazines available, but you may choose to bring along something to pass the time.